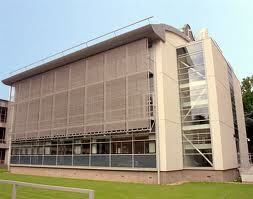 The School of Law is delighted to be able to offer up to 7 International Scholarships of £6750 each for applicants to the LLM programmes for the academic year 2012-13. The seven scholarships include one entitled the “Knox and Morrison” scholarship, kindly sponsored by a donor who wishes to remain anonymous. Scholarships are open to applicants to any of the LLM programmes other than the distance learning ones who meet the criteria below. The awarded value of Scholarships is £6750 each. They are open to any applicant to the LLM Programme (regardless of the particular LLM stream) who meets the criteria below. These Scholarships are offered at the discretion of the School of Law and the decision as to the awards are final and not open to review. The School reserves the right not to award all or indeed any Scholarship(s) in any particular year. The Scholarships are limited to applicants from the following countries: Brazil, Cambodia, Canada, Chile, Hong Kong, India, Indonesia, Mexico, Panama, Thailand, Venezuela and Vietnam. The applicant must have unconditionally accepted an offer to enter the LLM Programme for 2012-13 and that unconditional acceptance must be received by the School of Law before 31 May 2012. Once the School of Law has received the applicant’s unconditional acceptance of our offer, the applicant will be invited to complete a short application form for one of these International Scholarships. The applicant must demonstrate high academic merit and all decisions as to the award of Scholarships will be based on academic merit. The successful applicants will be notified no later than 12 June 2012. Scholarships must be taken up in 2012-13. Demikianlah informasi mengenai LLM International Scholarships, University of Southampton, UK semoga berguna bagi anda.